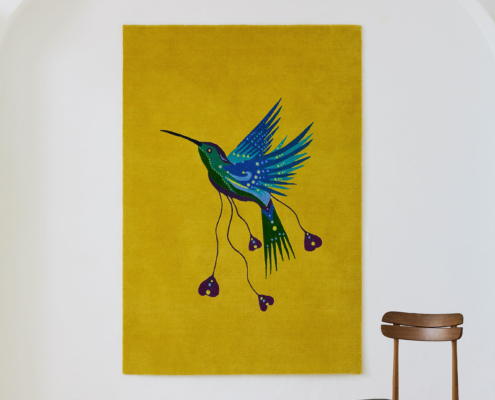 Size: 120 x 180 cm / 4 x 6 ft approx. 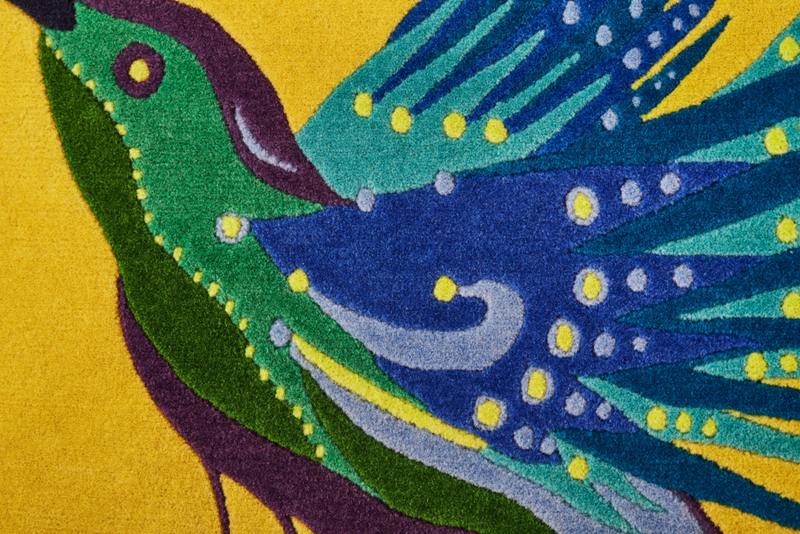 Birds have been chosen as subjects for textiles since Ancient Egypt, as their undeniable beauty as well as their wondrous ability to fly have always fascinated humanity: they are, in fact, the ideal link between the earth and the sky, and are often used to depict the intangible world of angels and other heavenly beings. 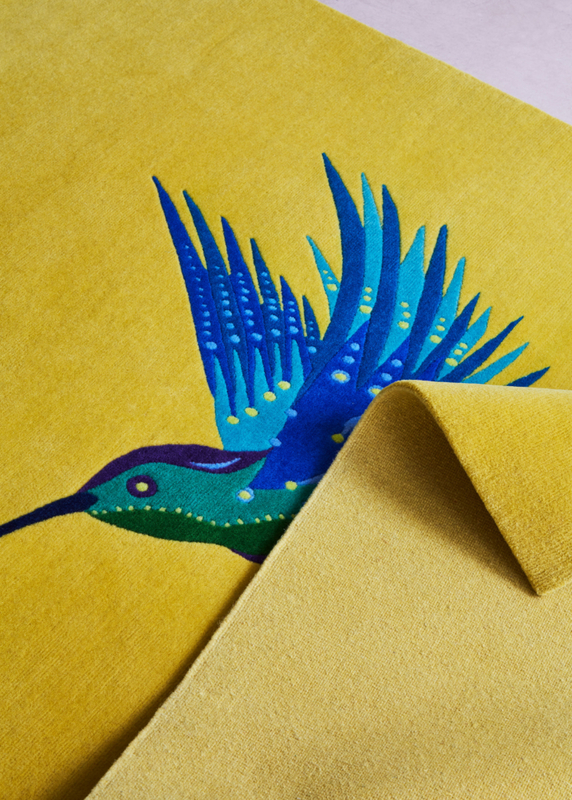 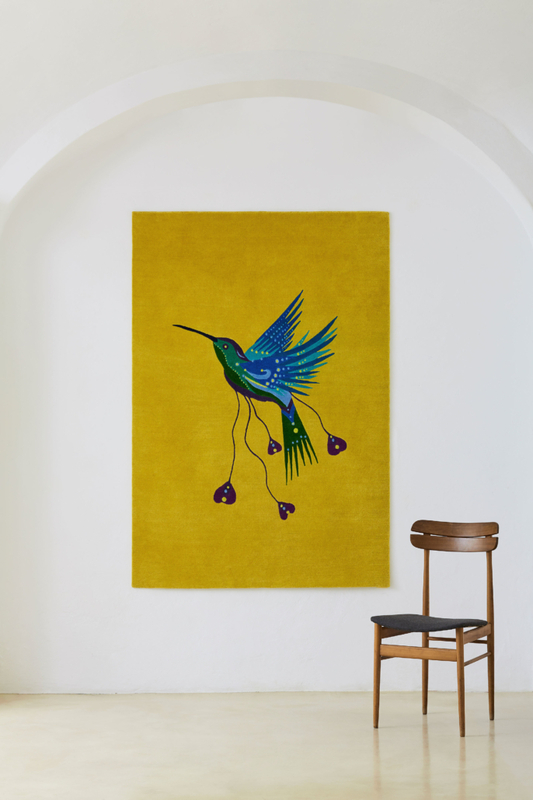 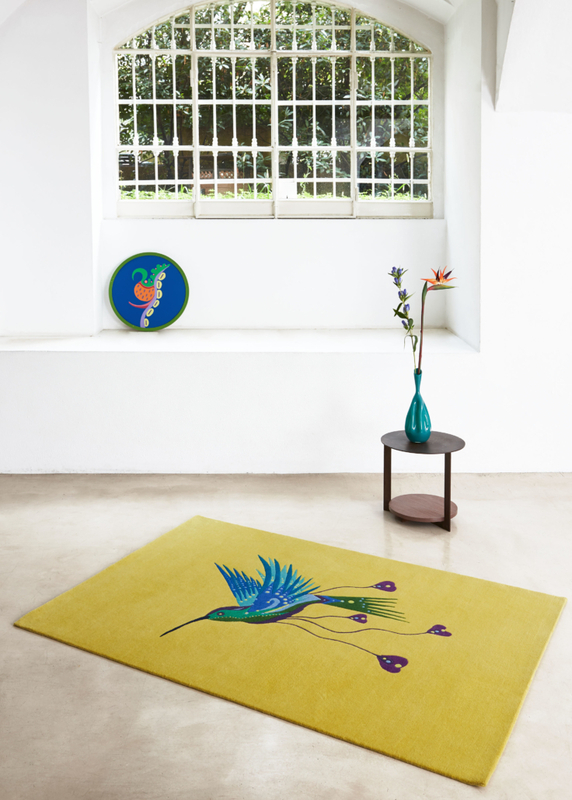 The Italian artist and designer Fulvia Mendini has selected, as the subject of her rug, «a hummingbird bathed in the yellow light of the tropical sun». 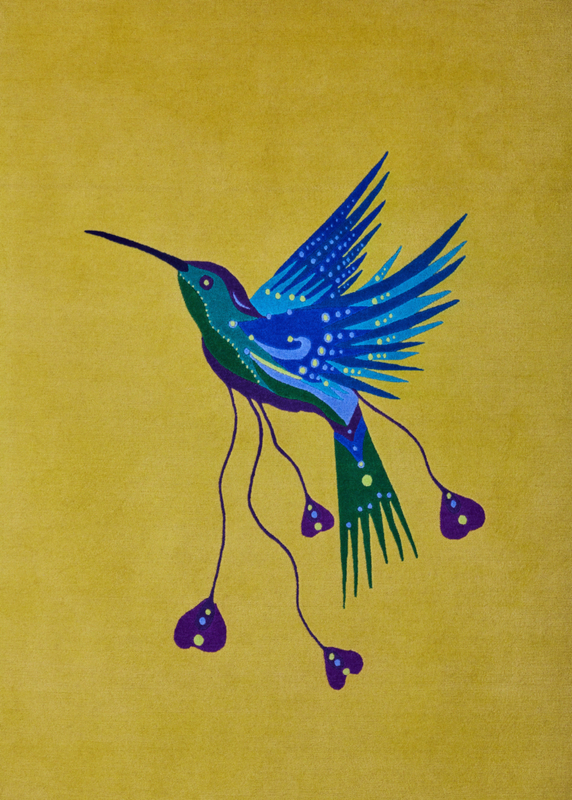 Hummingbirds, with their jewel-toned plumage which results from prism-like cells on their feathers, are especially inspiring: despite being the tiniest birds in the world, they adapted to use their small size to their advantage and are capable of incredible flight acrobatics. 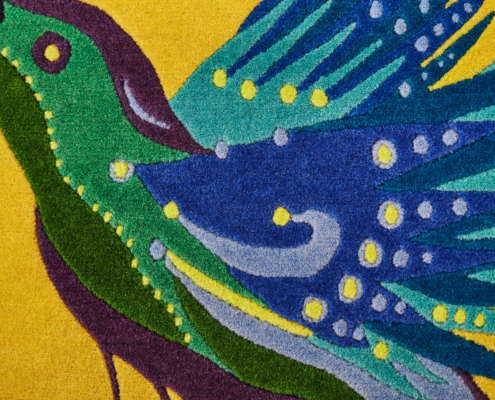 Portrayed in the artist’s signature style – characterized by essential yet striking lines, and by an exhaustive research on the colors and symbolism of the natural world – Fulvia Mendini’s hummingbird is an extraordinary symbol of perseverance and strength. 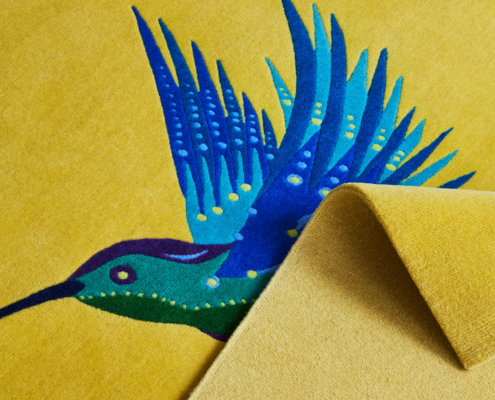 Fulvia Mendini was born in 1966 in Milano, where she lives and works. 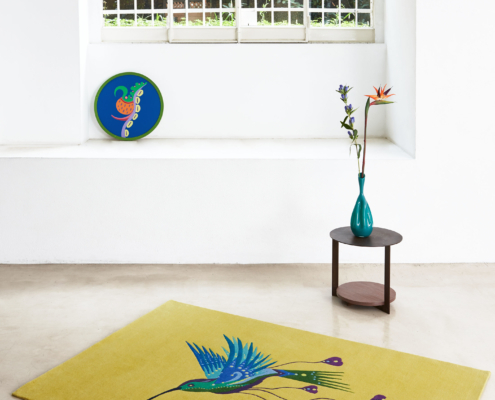 After her studies in Graphic Design and Illustration at the European Institute Of Design, she has begun her design career at the Atelier Mendini. 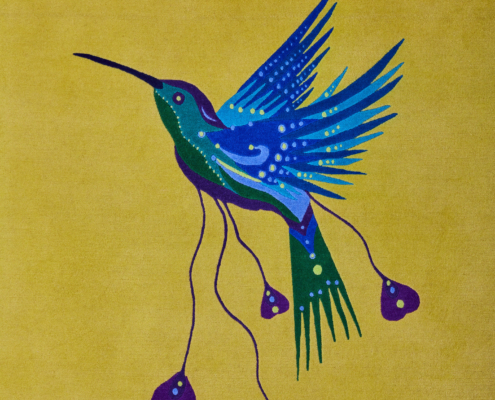 As an artist, she has exhibited her works – focused on nature and portraiture – in galleries and museums all over the world.